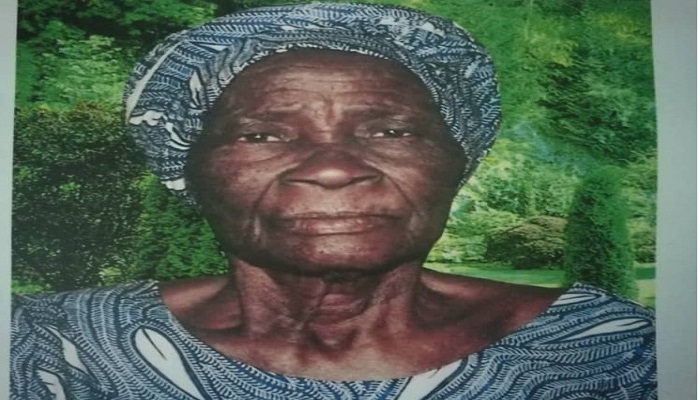 The mortal remains of Mrs Veuve Yanogo nee Zimbi Zama Boenzemwende, widow of late Pasteur Pinoaga Yanogo, was laid to rest on Friday, May 25, 2018 in Ouagadougou, Burkina Faso. Mama Pentecost, as she was affectionately called, died at the age of 89 years on Saturday morning, May 19, 2018 when she was scheduled to be visited by the newly-elected Chairman of The Church of Pentecost, Apostle Eric Nyamekye, and a team of apostles who were attending a wedding ceremony in Ouagadougou. Born in 1929, Mama Pentecost left behind four adult children, including Pasteur Dr Marcel T. Yanogo, 19 grandchildren and 21 great grandchildren. It is noteworthy that Mama Pentecost had been a great source of encouragement, spiritual support, counsellor and mother to many of the believers and key church leaders in Burkina Faso. 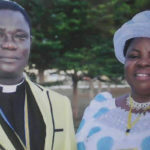 Her Spiritual children and mentees are spread across Burkina Faso, especially in the Pentecostal and Charismatic circles. No wonder her funeral was attended by many people across the Christian fraternity in the country. Mama Pentecost and her late husband started The Church of Pentecost in Burkina Faso as pioneer indigenous workers in 1958. She was in full-time service until November 1988 when her husband was called to glory. She continued to serve the Lord and remained a strong pillar behind the spread and deepening of the gospel in Burkina Faso. She and her late husband started the work under the Apostolic Church before the split. They stood behind Pastor James Mckeown (Founder of the Church) to sustain the Pentecostal fire in the West African country. On 15th December, 2017, she was awarded with a Certificate of Honour by the National Pentecostal, Charismatic and Evangelical Council of Burkina Faso (F.E.M.E) for her immense and historic role in promoting Pentecostalism in Burkina Faso. Apostle Zabre in a sermon eulogized Mama Pentecost for her zeal, devotion, mercy, care and selflessness. Indeed, a mighty soldier has gone home. She will be remembered as one who dedicatedly and selflessly served the Lord, church and her generation. The well-attended funeral service was chaired by Apostle David Tettey Tekper who deputised for the Chairman, Apostle Professor Opoku Onyinah. Present were Apostle Ousmane Zabre (Executive Council Member and National Head for Togo), Apostles Robert Andoh (Wa Area Head) and Daniel Dekpor (Tumu Area Head), both from Ghana, as well as the National Head and the entire pastorate of Burkina Faso. The Minister for National Security in Burkina Faso was also present to mourn with the family.